Simply refer to any of these editable trading enterprise organization chart templates. You can also click on them to see more insights and download to use. 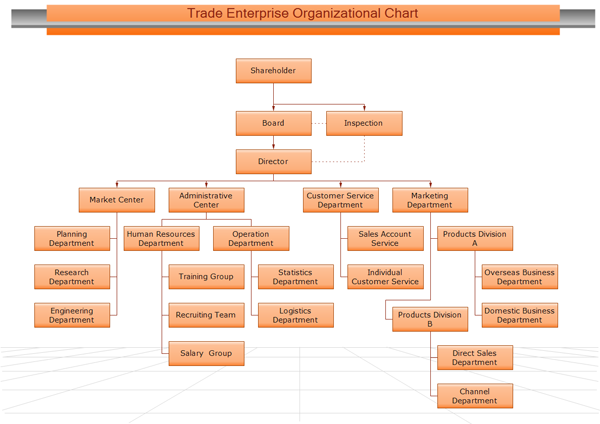 This trading enterprise org chart for food industry shows a well-structured employee team. Each of the two Presidents manages a series of sub-departments including from resources divisions to research and development departments. The clothing industry is another dominant daily service sectors. The logistics teams in such industries may include the exports or imports departments; the maintenance and QA teams etc. The following is a simple enterprise organization chart of trade industry for your reference. Both PDF and editable formats are available to download for free. 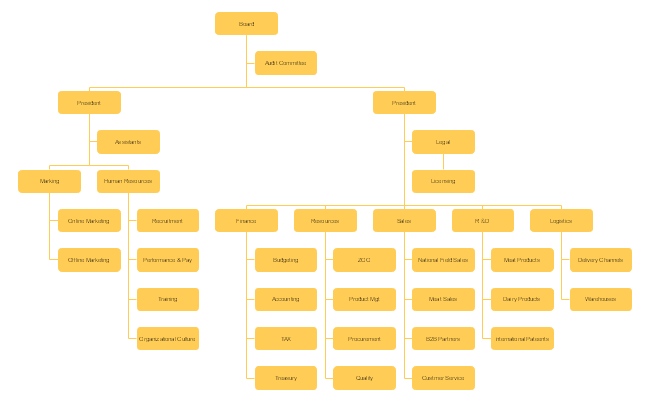 The following organizational chart examples include different categories from retail enterprises to manufacturing organizations. Feel free to click on any of them to enlarge.